ABOUT: Despite the appointment of multiple commissions to reform the governance of police forces across the country, the government has lacked the political willpower to implement their recommendations. ABOUT: Despite the appointment of multiple commissions to reform the governance of police forces across the country, the government has lacked the political willpower to implement their recommendations. 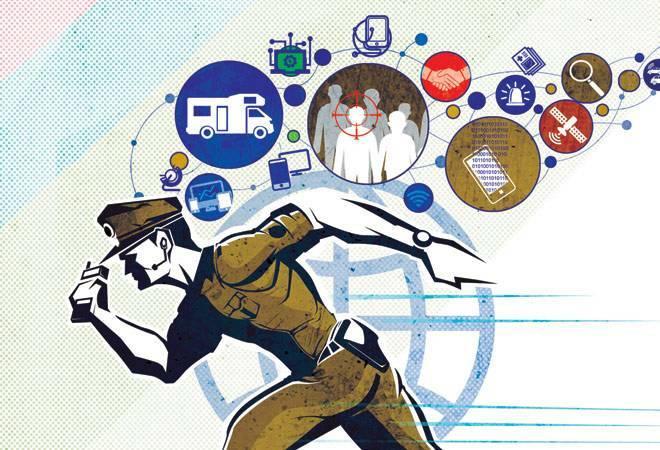 Prakash Singh, former DGP of Uttar Pradesh and the Border Security Force, who leads a movement for police reforms and bureaucracy's accountability, explains how to create a professional, well-trained and equipped, and a motivated police force. It is one of the ironies of modern India. While we are able to send a mission to the moon, while there has been a revolution in information technology, while we have taken a quantum leap in nuclear science, while we have today the fastest growing economy of the world, while we are preparing to run a bullet train, we are still saddled with a colonial police that has a feudal mindset. There have been any number of commissions, both at the State and Central level - State Police Commissions, National Police Commission, Gore Committee, Ribeiro Committee, Padmanabhaiah Committee, Malimath Committee, to name only a few - which made recommendations for reforms, but received no more than cosmetic treatment at the hands of the government. The result is that the common man does not feel secure or protected. On the contrary, he may be harassed or even persecuted by the police if he dares to take a stand against the establishment. There are more than 20,000 police stations and posts across the length and breadth of the country, and their working impinges on the life of the common man from Srinagar to Kanyakumari and from Ahmedabad to Aizwal, irrespective of whether he has a complaint or not. It is a sad commentary on our republic that we have not been able to transform the police into an instrument of service upholding the rule of law and inspiring confidence among people. It needs to be emphasised that police reforms are absolutely essential if India is to emerge as a great power. Economic progress cannot be sustained if we are not able to generate a safe and secure environment. The democratic structure may also crumble if we do not arrest the trend of criminals gaining ascendancy in public life. The three greatest problems confronting the country today are: the challenge of international terrorism, the spread of Maoist influence over vast areas of Central India and the cancer of corruption. If we are to tackle these problems effectively, there is no getting away from having a professional police force, well trained and equipped, highly motivated, and committed to upholding the law of the land and the constitution of the country. The police are the first responders in the event of any terrorist attack or Maoist violence, and they are also the backbone of our intelligence, investigation and anti-corruption agencies. Thus, looked at from any angle - the security of the common man, the survival of democracy, maintaining the trajectory of economic progress or dealing with the major threats confronting the country - we have to have a reformed, restructured and revitalised police force. There is no getting away from having a professional police force, well trained and equipped, highly motivated, and committed to upholding the law of the land. 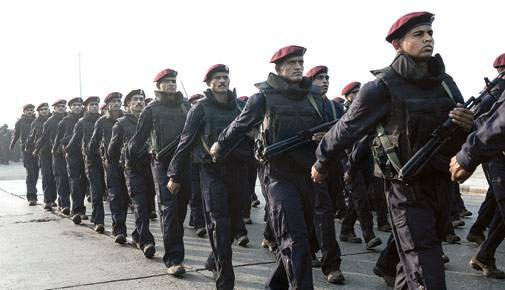 They are the fi rst responders in the event of any terrorist attack or Maoist violence, and also the backbone of our intelligence, investigation and anti-corruption agencies. The Supreme Court, in a landmark judgement on September 22, 2006, ordered the setting up of three institutions at the state level: state security commission with a view to insulating the police from extraneous influences, police establishment board to give it functional autonomy, and police complaints authority to ensure its accountability. Besides, the apex court ordered that the Director General of Police shall be selected by the state government from amongst the three senior-most officers of the department empanelled for promotion to that rank by the Union Public Service Commission, and that he shall have a prescribed minimum tenure of two years. Police officers on operational duties in the field would also have a minimum tenure of two years. The court also ordered the separation of investigating police from the law and order police to ensure speedier investigation, better expertise and improved rapport with the people. The Union government was asked to set up a National Security Commission for the selection and placement of heads of Central Police Organisations, upgrading the effectiveness of these forces and improving the service conditions of its personnel. The aforesaid orders were to be implemented by March 31, 2007. The Thomas Committee, appointed by the Supreme Court to monitor the implementation of its directions in various states, in its report dated August 23, 2010, expressed "dismay over the total indifference to the issue of reforms in the functioning of police being exhibited by the states". States have passed executive orders purportedly in compliance of the Court's directions, but actually they have diluted or even subverted the directions with a view to continuing the supremacy of the political executive in the enforcement of law and order. Seventeen states have passed Acts, but not in keeping with the letter and spirit of judicial directions. There were expectations from the National Democratic Alliance government. The PM, at the Guwahati Conference of the Directors General of Police on November 30, 2014, enunciated the concept of SMART Police - a police which should be sensitive, mobile, alert, reliable and techno-savvy. However, there has hardly been any progress in that direction because the police was not insulated from extraneous influences. You cannot have a sensitive police if it is under the thumb of the rulers. The Supreme Court directions, it needs to be highlighted, are not for the glory of the police. They are to give better security and protection to the people of the country, uphold their human rights and generally improve governance. If sincerely implemented, they would have far reaching implications and change the working philosophy of the police. The ruler's police would be transformed into the people's police. The PM has taken tremendous initiatives in several directions. It is still not too late for the government to reform and rejuvenate the police.